Sheena is a PhD Candidate in the Collaborative PhD in Public Policy and Political Economy. 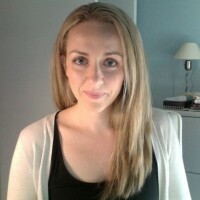 Her main research interests include the Northern social economy, community development, education, citizenship and democratic development in Northern Canada. Her dissertation, Creating Citizens, Building Societies: Schooling and Social Change in the Eastern Arctic, examines the role that formal schooling has played in shaping peoples’ ideas about, and practices of, citizenship and democracy in Nunavut. After completing her MA in 2009, Sheena worked as an independent researcher and Research Associate with the Carleton Centre for Community Innovation on projects related to community development and education in Nunavut and Nunavik. She was the primary researcher for the 2009-2010 Igloolik Socio-Economic Baseline Study, a community-initiated project, in partnership with the Hamlet of Igloolik. In 2011-2012 she taught a community-based research methods course to students at Nunavut Sivuniksavut, a post-secondary program for Inuit youth, based in Ottawa. Sheena is currently part of two major research initiatives. The first, Improving Access to University Education in the Canadian Arctic, is funded through ArcticNet and seeks to better understand and address barriers to Inuit post-secondary education. She is also involved in the development of a network of North Baffin communities and university-based researchers; the purpose of which is to build the capacity of northern communities to make informed choices about key public policy issues and challenges facing them. The foundation of the network is in community-based research, digital technology and community-based training and development with outputs such as knowledge co-creation, dissemination, and discussion among the communities. Along with two peers – SPPA PhD student Joshua Gladstone and UofT PhD student Jerald Sabin – Sheena co-founded the first public policy magazine for Northern Canada, in November 2011. Northern Public Affairs is a print and web-based publication, which seeks to create space for informed policy debate on the topics most relevant to Northerners. Published three times a year, Northern Public Affairs features policy-relevant articles written by, and for, our audience of academics, commentators, current and former politicians, business leaders, public servants and engaged northerners. Sheena recently served as Managing Editor for a special issue of the magazine on Inuit education, in partnership with Mary Simon and her team at the Amaujaq National Centre for Inuit Education. Sheena holds a Master’s in Public Administration from Carleton University and a Bachelor’s (Hons) in Political Science from Dalhousie University. Sheena currently lives in Toronto with her husband.